Our Corpus Christi eye doctors have an amazing eye care team with one goal: to provide the best vision care plan for your particular needs. Eye care is our passion – each member of our team is driven and excited to help you. Our receptionists will try to accommodate your busy schedule by finding appointments that suit your needs. We’re available for any questions that you might have regarding your insurance coverage, or to provide assistance in formulating a financial plan for your eye care. If you have any suggestions to help us reach our goal of - 'patients first - always!' - please let us know! Here is our awesome staff. Our front staff, assistants, insurance, contacts, and billing, take great pride to help our patients in anyway possible for their eye exam. They are very cheerful, outgoing and friendly. 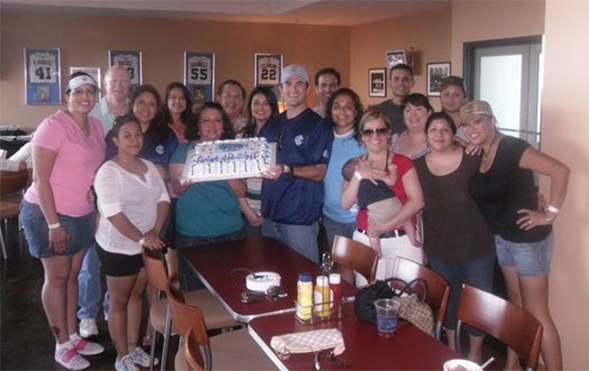 Our Corpus Christi eye doctors, Drs. McIntyre, Garza, Avila and Jurica, know that our staff are not just workers; they are truly family!